Our last competition, Seasons had some amazing entries and I, along with my colleagues here at TPA, have thoroughly enjoyed looking through all the winning entries and reading the judge’s feedback. The judge, Robin Lowry, had his work cut out choosing the winner and runners up and I don’t envy his task at all. The eventual winner was Michael Houghton who captured the wonderful image above, entitled Gold Leaves. Here, we find out a little more about the image, and the man behind the camera! 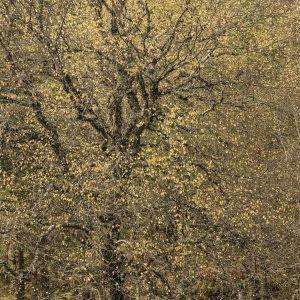 While Michael and his partner were on holiday in the Scottish Highlands in October last year, they decided to take a twelve mile, low level walk around Glen Affric. There were many photographic opportunities that were taken during the walk, and this image was taken towards the end. Michael took only one shot of this scene, cropping it to capture the simplicity, yet busy-ness of all the golden leaves, as Robin Lowry remarked in his feedback. Michael bought his first DSLR in 2009, keen to capture images of the beautiful scenery that he came across whilst fell-walking in the Lake District, Yorkshire Dales, Bowland and similar areas. A couple of years later, he joined his local camera club (Bingley) to learn more about photography and to be able to use his camera to its full potential. I asked Michael what was the best piece of advice he has been given as a photographer, and I love his response: Slow down, look around and take in the situation – also that it’s often what you leave out of an image that’s crucial. I fully intend to slow down and take in my surroundings more, there is beauty to be discovered everywhere. The place that Michael would most like to go, to take photographs is the Isle of Harris in the Outer Hebrides (where Harris Tweed comes from?). He has been before and says it’s a magical place! He’d also like to go to Iceland, although that is becoming increasingly popular with tourists. Michael has a photography trip planned, he will be returning to the Outer Hebrides, this time to visit North Uist and Berneray in just a couple of weeks time. We wish you beautiful weather and plenty of wildlife for your trip! Thank you Michael for giving us this glimpse into your world as a photographer. We hope you have a wonderful trip to the Outer Hebrides and would love to see some of the shots that you take whilst there!